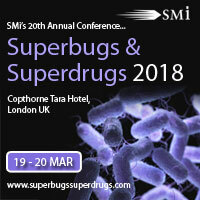 SMi’s Superbugs & Superdrugs conference this March will focus on the strategies pharmaceutical companies use to assist the development of new therapeutics & drugs, how to obtain funding for new projects and address why there is a current lack of incentives for researchers working in antimicrobial resistance research and development. ‘The main issue with antibiotic drug development is the perceived low commercial value and many big pharmaceutical companies have pulled out of antibiotics research due to negative returns on investment. Mobilising public funding and ensuring that greater financial resources are available for the fight against AMR is therefore fundamental. The good news is that there are numerous early stage drug development programmes in universities and institutes worldwide. These are only limited in what they can achieve by the amount of funding available. – GARDP is a not-for-profit R&D organisation developing new treatments to tackle drug-resistant bacterial infections, and aiming at delivering them in a responsible, sustainable and accessible manner. – Public-private partnerships contributions to fight AMR: collaboration and complementarity. – Experimenting alternative business models to deliver innovation. – Current programs and deals will be presented. SMi offer unique sponsorship, exhibition and branding packages, tailored to complement your company’s marketing strategy. Follow ‘SMi Pharma’ on LinkedIn and @SMIpharm on Twitter for latest pharmaceutical industry updates.